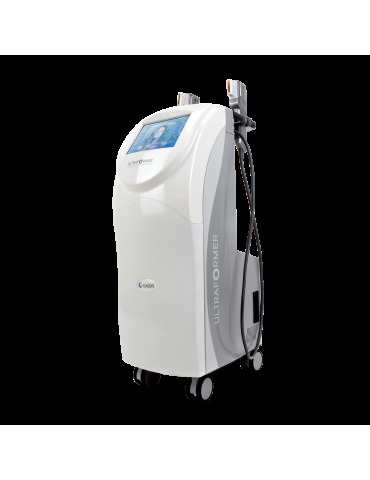 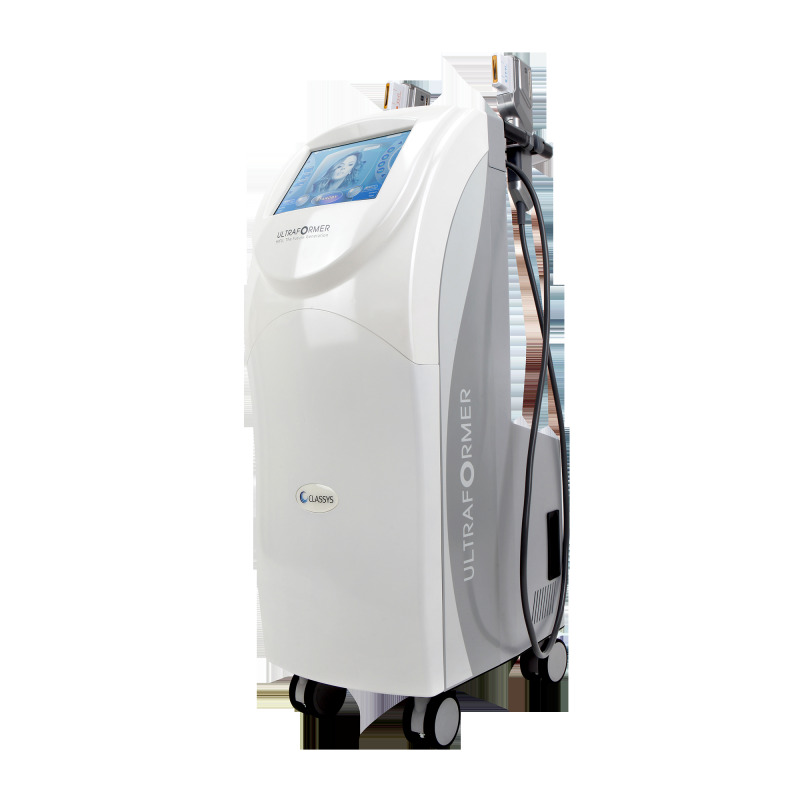 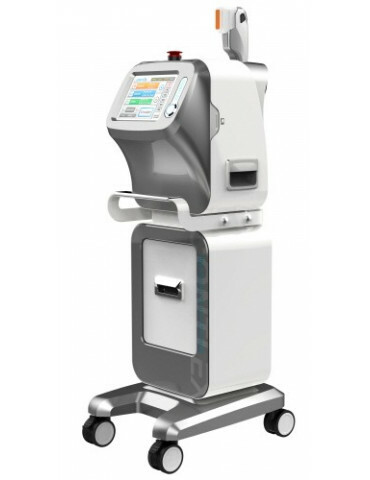 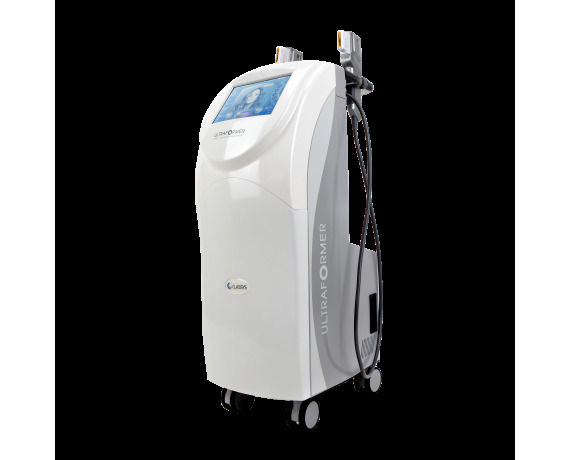 Ultraformer HIFU machine, a high-intensity Focused Ultrasound for Non-invasive facelift. 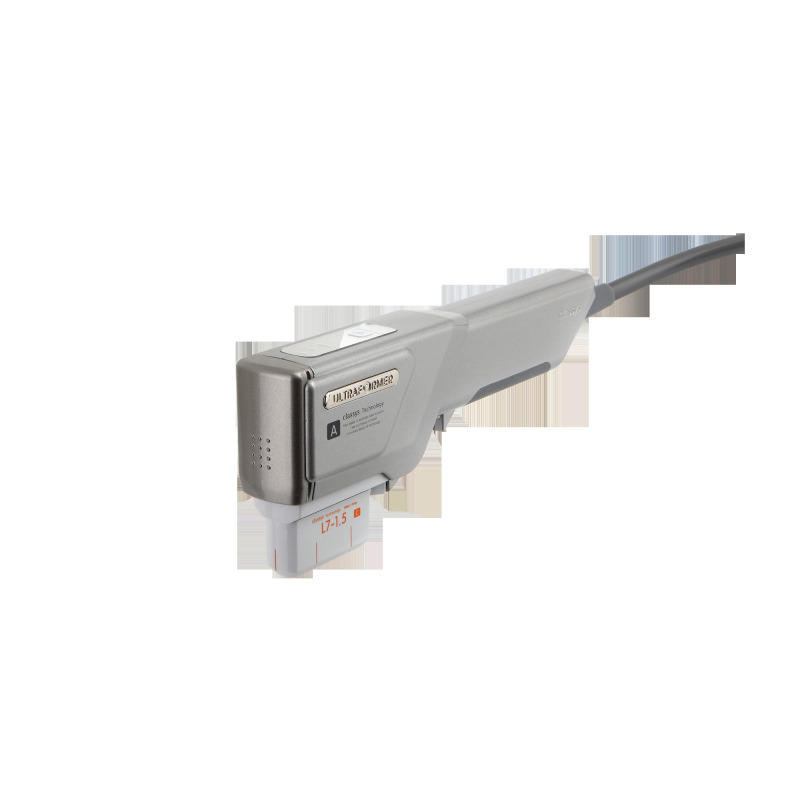 The transducer (handful) of Ultraformer HIFU emits high-intensity ultrasound that penetrates the treated area to the depth of choice, with geometric precision. 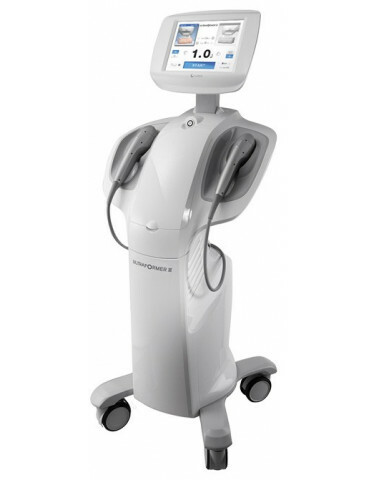 Focused ultrasound induced thermal coagulation to 3 different depths of the skin and connective tissue. 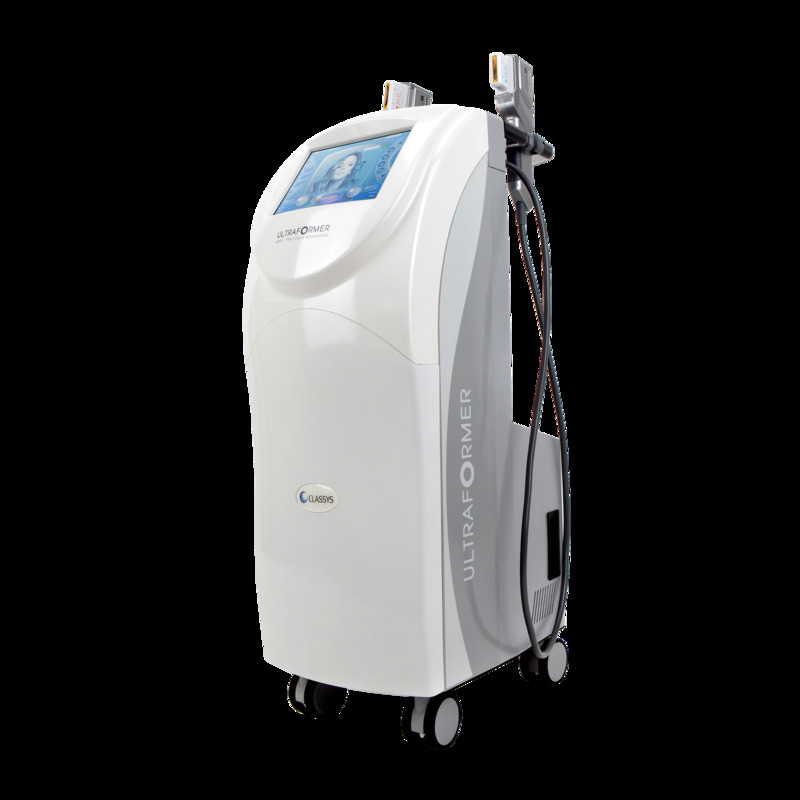 The thermal coagulation promotes the formation of new collagen fibers and the end result is a non-invasive lifting effect. 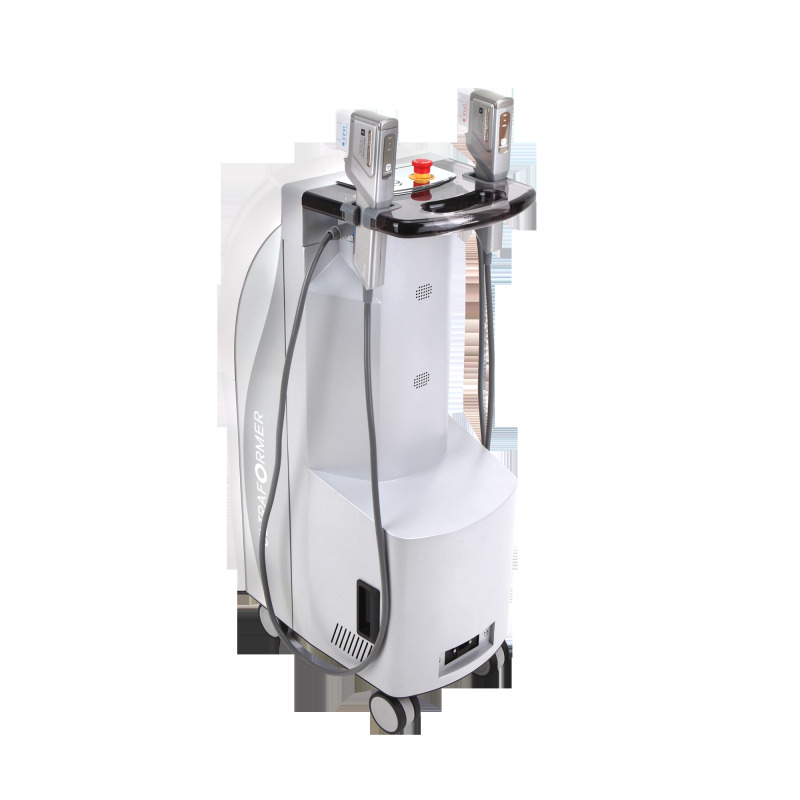 Each cartridge allows the treatment of different areas and different diseases. 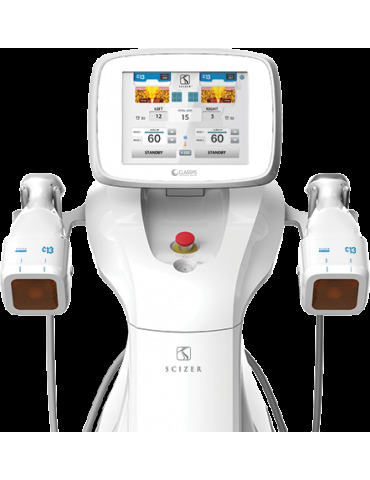 Focused ultrasound penetrate the treated area and induce coagulation (tissue heating to 65-70 degrees) exclusively to the focal length range. 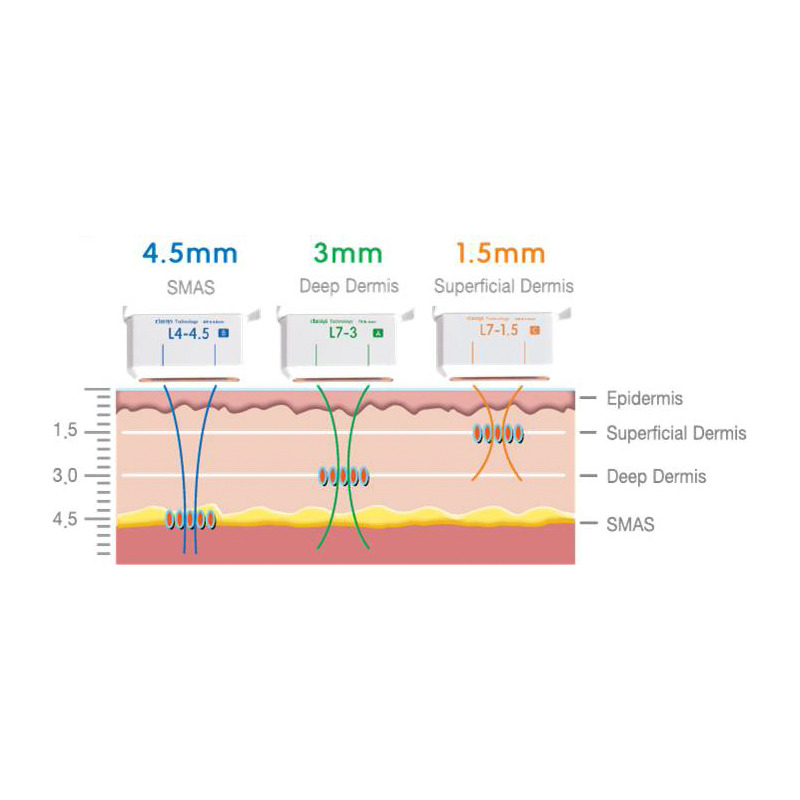 There is no thermal damage in adjacent areas. 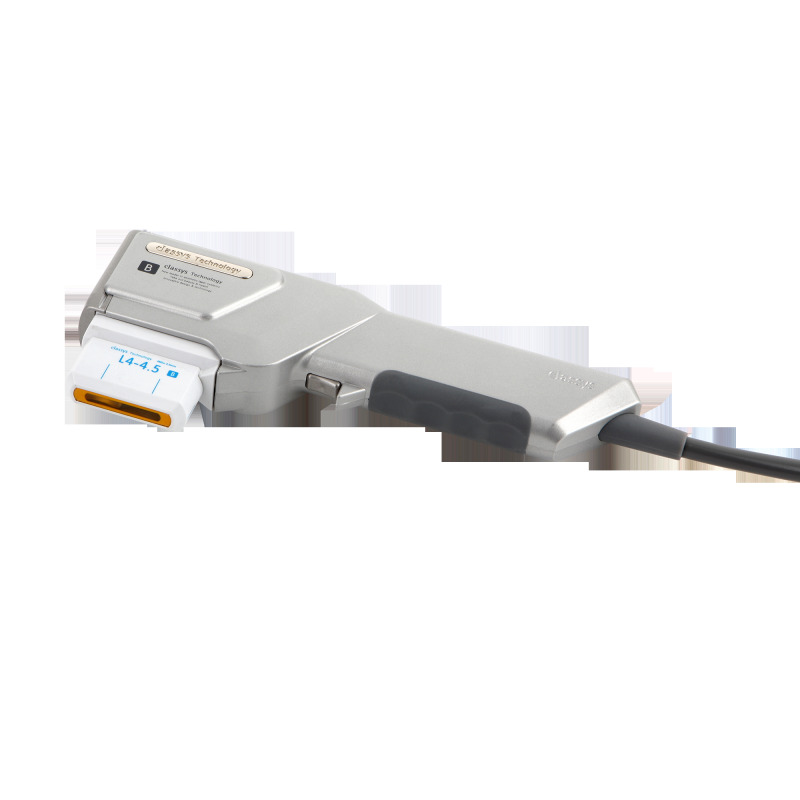 The two handpieces (7MHz and 4Mhz) and the three interchangeable cartridges allow to vary between multiple types of treatment.